Astha Tamang-Maskey is an aspiring Nepalese independent singer/songwriter/sound engineer based in Toronto, Canada. Graduating from the Independent Music Production program at Toronto’s Seneca College (2008) and the Audio Engineering Program at the Harris Institute of Toronto (2011), Astha is also a budding female sound engineer. She comes to the table with a charismatic persona and a unique sound backed by her acoustic guitar. Having been continuously songwriting since the age of 14, Astha now has an array of songs which all hold meaning and speak of a deep truth. Astha has performed at numerous Toronto music venues such as the Smiling Buddha, the Reverb, Holy Joes, the Horseshoe Tavern, Tranzac and the Opera House to name a few. She has also performed at multiple music festivals in Nepal such as Fête de la Musique, City Roots Festival, Nepal Music Festival, the Chevrolet Miles Music Festival and the Himalayan Blues Festival. When given the opportunity to travel back to Nepal, she took advantage of it and released a Nepali debut album, “Sabai Thikai Huncha” in January 2009 (Kathmandu). Independently released by Astha, the album is a mix of acoustic, live and electronic music, with 1 English and 7 Nepali songs co-written by Astha and her mother Susan Maskey. Working closely with Astha was production genius, Rohit Shakya who brilliantly produced all the songs on the project. Also featured on the album are prominent Nepalese musicians such as: Rizu Tuladhar (Looza) on bass, Abishek Bhadra (JSC Trio) on keys and Prazol Raj Kanskar (Looza) on drums. Her first radio single off the Nepali album, “Gotta be love” received a significant amount of plays, charting at number 1 on Nepalese FM stations. Her second radio hit, “Jhuto Satya” received a nomination for “Best Rock Vocal Performance” on Image Awards 2009 (Nepal). Recently, Astha was awarded the “Best Pop Female Vocalist” award at Radio Kantipur’s Music Honours 2010 (Nepal). Her single “Harek Saas Sita” charted number 1 on Hits FM radio station and was nominated for “Best Female Pop Vocal Performance” on Hits FM Music Awards 2013 (Nepal). Her latest single “Khula Aakash” (2012) received airplay on MTV Roots India and charted number one on all major Nepalese radio stations. Astha released her debut English EP – 11:11 in 2011 and came out with her most recent Nepali release “Ma Ek Sapana” in June, 2012 at a grand event at the Rastria Naach Ghar, Kathmandu. The event featured live collaborations with two prominent Nepali acts: Kutumba and Jindabaad. Astha’s newest Nepali single, an awareness song for child rights organization – CWIN is expected to release in September, 2014. A new English EP in collaboration with producer Rohit Shakya is a work in process scheduled to release end of 2014. Aside from being a musician, Astha is also an entrepreneur in spirit. She is a passionate dreamer, a risk taker and an advocate of knowledge. Astha and her team now co-own their very own production company – Fuzz Factory Productions. Fuzz Factory Productions is an emerging and enthusiastic multimedia company, offering a variety of production services encompassing music video/documentary production and editing, HD filming, web design and sound recording, mixing and sound design. With a team of creative individuals with years of production experience in the industry, they strive to set a creative standard. 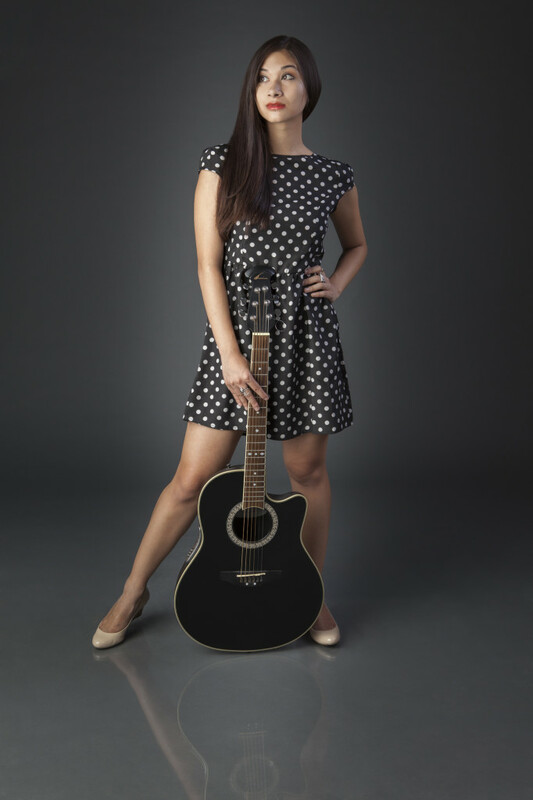 Young and driven, Astha has realized that a career in music is her ultimate passion. Astha – her name itself means “faith”, and her faith is in her music.